Cheap and ultra-low power consumption GPS tracking solution from HidnSeek by using of Internet of Things (IOT) network powered by Sigfox and LoRaWAN. For those who do not want to read further in a couple of words. It is another, independent from mobile networks and satellite networks, real-time GPS tracking solution using ultra-low power and small fees. What network this tracker is using and how it transmits GPS signal to the customer? HidnSeek GPS tracker uses the Internet of Things network by Sigfox and recently LoRaWAN™ Low Power Wide Area Network (LPWAN) as well. Here are unknown names for many readers so what is what. By my understanding, the term „Internet of Things“ (IoT) already is in our everyday life. So, for example, my house is heated by the ground source heat pump. Green energy, cheaper than many alternatives and convenient to manage it. Here IoT comes in my everyday life. 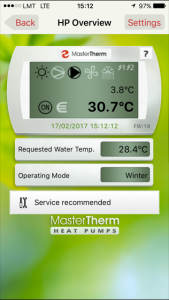 The main MasterTherm unit is connected to the internet and company servers. All I need to do is login in the app and set temperature in my rooms or hot water directly from my iPhone or any computer, even from Down Under when I visited my cousins on the opposite side of the globe. Imagine that Sigfox GPS tracker will be able to communicate with IoT for up to 10 years extended battery life! Yes, TEN years on two AA batteries. What a huge opportunities! An industrial wood pallet could become a connected pallet with GPS geolocalisation and temperature sensor simply by embedding a small device in the frame, or sea TEU containers could be tracked by owners locally. 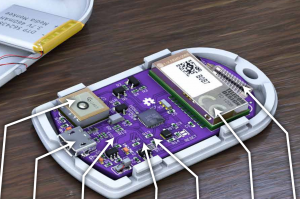 Well, back to the topic about HidnSeek GPS tracker what is it and how it works? 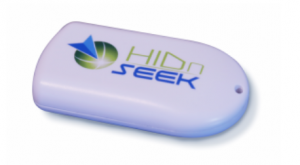 HidnSeek ST1-A is an autonomous rechargeable standalone GPS tracker. With no SIM card or installation required, the ST1-A works seamlessly with our free mobile or web app and is specifically designed with tracking and security in mind. Pros and cons of HidenSeek GPS tracker. Very low power consumption, battery up to one month. It is not yet fakes found on the market, so there is no risk to buy one. The HidnSeek GPS tracker and its app is the perfect way to find and track your things from any place in the world. 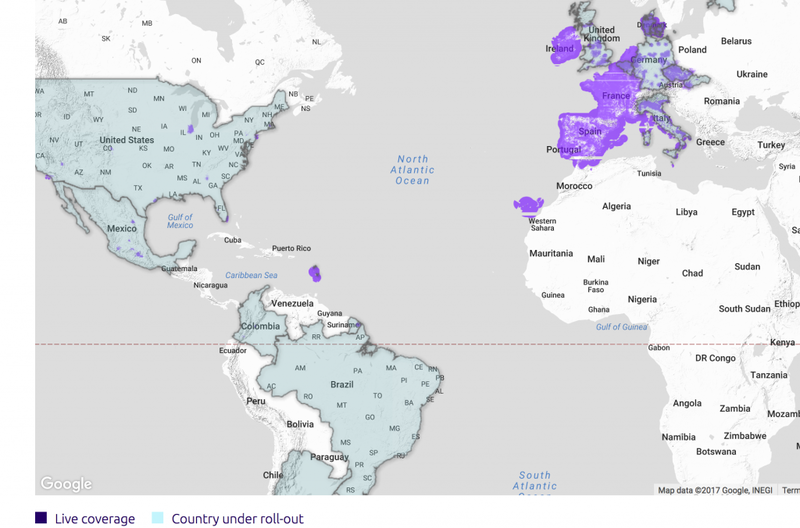 Regardless of blank spots on the global map IoT network is growing and future is promising. When you have HidnSeek GPS tracker, then the only thing you need is ID’s share with friends and family to be found in the case of emergency or just say hello when you are far away and not reachable by cell phone. Sigfox offering some Internet of Things toolkits on Amazon store. Take a look. For those who live in are yet not covered by the networks for HidenSeek GPS tracker I recommend a traditional cell phone network trackers or global Iridium powered DeLorme InReach GPS tracking solution.